Welcome to the first ever installment of Games Worth Getting! I want to use this series as an opportunity to share video games that I think are worth buying. I know that most people don’t want to spend money on digital entertainment–especially mobile games–but I hope I can at least explain why each one is worthwhile to me. The first game I would like to share is “Flower,” a wonderful experience that I still revisit to this day. The game was released for the PlayStation 3 in 2009, a time period when it was uncertain whether or not games could be perceived as an artistic medium. “Flower” seemed to be a direct response to that question, earning mainstream and critical acclaim, it later became one of the first video games to be featured in the Smithsonian American Art Museum. I knew nothing about the game my first time through; after experiencing its powerful narrative, “Flower” quickly opened my eyes to the potential that video games have as a force for positive change. Which is why the game’s recent release for iPhone, iPad, and iPod touch motivated me to write this review, and ultimately what inspired me to start this column in the first place. “Flower” explores nature through the dreams of several well – flowers. 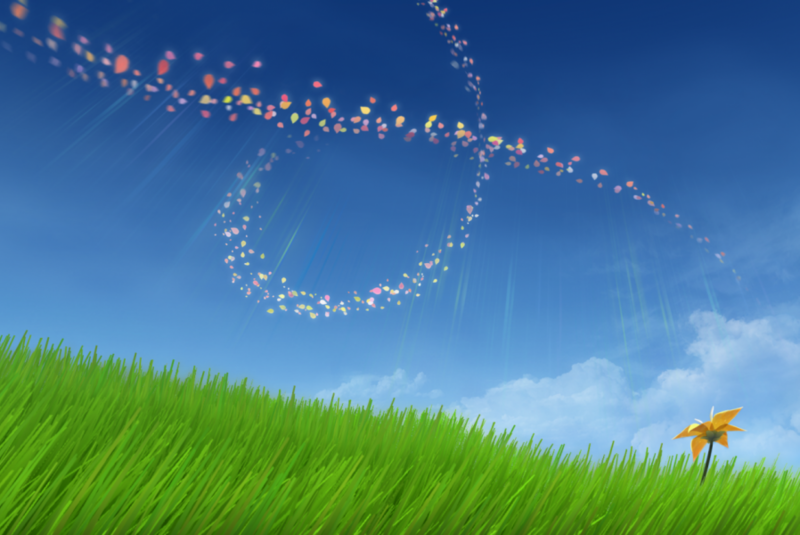 Using tilt controls and any button on the controller (or in the case of the IOS version, the touchscreen), players manipulate the wind to propel a single petal across the game’s various landscapes. 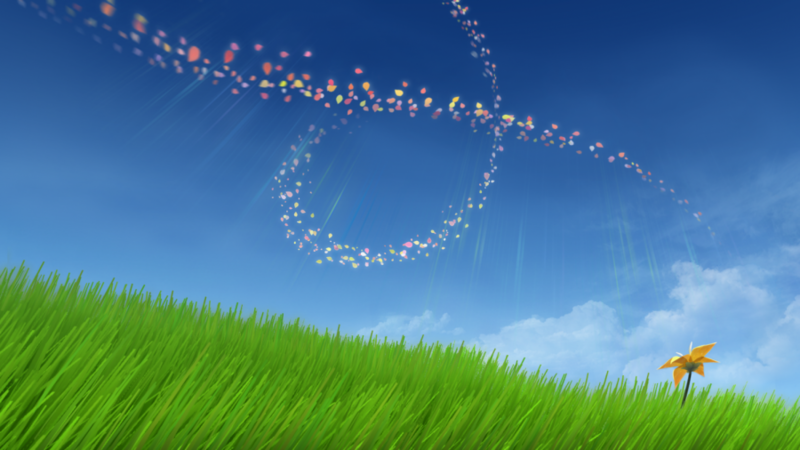 As players blow through flowers scattered throughout the game, more petals join in a twirling trail behind them. Each flower’s dream is its own story, making the narrative a puzzle the players’ piece together themselves. The games simple controls are also the reason why it is the first experience I share with people; its accessibility makes it easy for players of all ages and abilities to enjoy. The game begins in a near-empty apartment. A solitary yellow flower sits on top of a table in the middle of the screen. After following a prompt to enter the flower’s dream, the game presents a brief view of the surrounding city at night, then gives way to an idyllic setting of blue skies and rolling green hills. Patches of dead grass dot the ground, waiting for the player to bring life back to them as they fly through bunches of flowers. Once they reach the end of the level players are transported back to a changed apartment, with a new flower resting on the table. This introduction really cements the game’s unconventional design. “Flower” does not have objective markers, a score system with competitive leaderboards or a boss at the end of every level; it does not need them. Instead, the game presents a world for the player to explore at their own pace, creating a relaxing environment completely unlike the challenges that are a staple of most video games. Seeing the surprise on people’s faces when they take off for the first time is wonderful, almost everyone wobbles their hands back and forth as they get used to the controls. “Flower” evokes a sense of childlike wonder as one wanders through its world, a feeling that I have not experienced in many other games. While the first flower shares an ideal vision of nature, subsequent levels become more surreal. 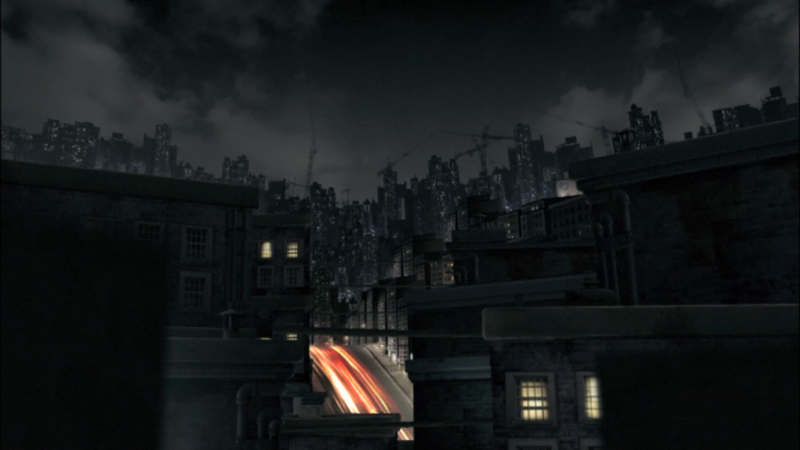 The second dream depicts a grey landscape, much like the monochrome view of the city the game shows beforehand. Players slowly bring color back to the world and even get to paint the grass. Windmills excite the still air of the third zone, boosting the player forward after they become activated. These two levels have some of the best music in the game. The score syncs up with the players’ actions and changes as they fly through each dream. Each track helps to emphasize the mood its level establishes. For example, there’s a feeling melancholy calm in the song of the second flower that slowly fades into happy peace. Its track “Splash of Color” is my favorite in the soundtrack. Players would be doing “Flower” a disservice if they muted their sound; for the best possible experience, make sure to wear headphones or take the phone off of silent. Another great song, “Lazy Daydream,” plays when the game is highlighted in the PlayStation’s menus. Sadly, the track is missing from the IOS version, which is disappointing because its slow, simple tune perfectly captures the tone of the experience. “Flower” is one of the most unique games I have ever played. It is a wonderful story of happiness and peace that I find myself revisiting again and again. There is much more to the game than what I have covered here; however, those details are best left unspoiled. Watching a playthrough of the game would be like asking a friend to explain a movie you have not seen before: the impact of the medium would be lost. Try “Flower” yourself; you will not be disappointed. 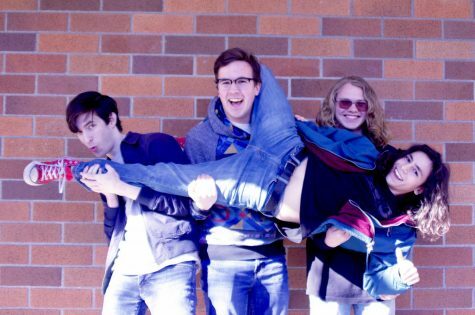 Thanks for reading Games Worth Getting. “Flower” is available here for the App Store and here for the PlayStation Store. Feel free to comment feedback below. Screenshots and video footage were recorded on the iPhone 6s in order to maintain accuracy to the mobile version of the game. Quality will vary across IOS devices and PlayStation consoles.